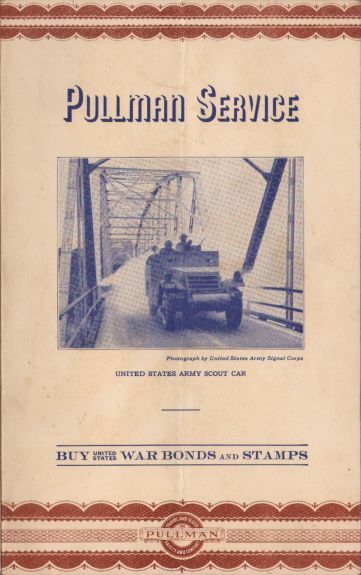 Pullman 1944 Lounge Menu (World War II) - Cresent Ltd. 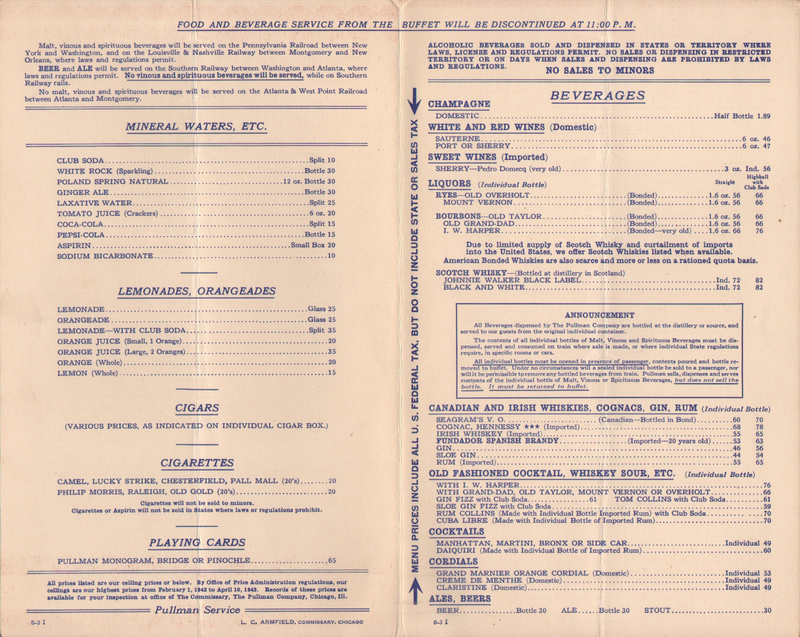 Description Great example of a patriotic Pullman Lounge and Club Car Service Menus from World War II (WWII). 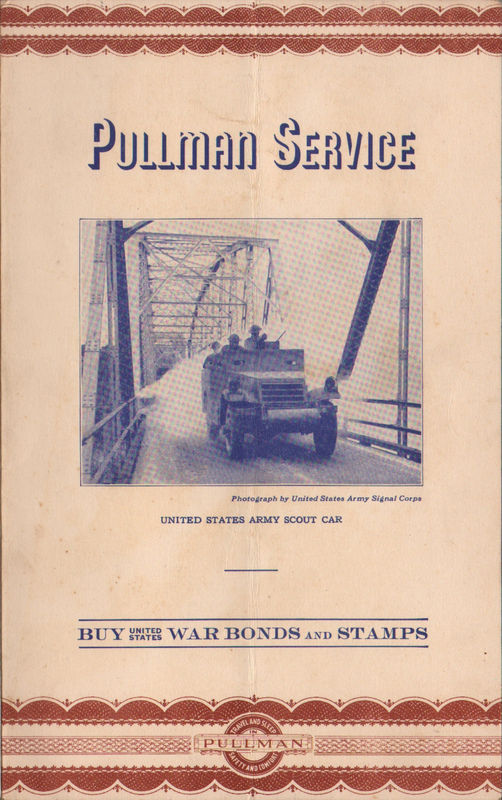 This 1944 menu cover features a photograph of a United State Army Scout Car advancing across a bridge (photograph by United State Army Signal Corps). 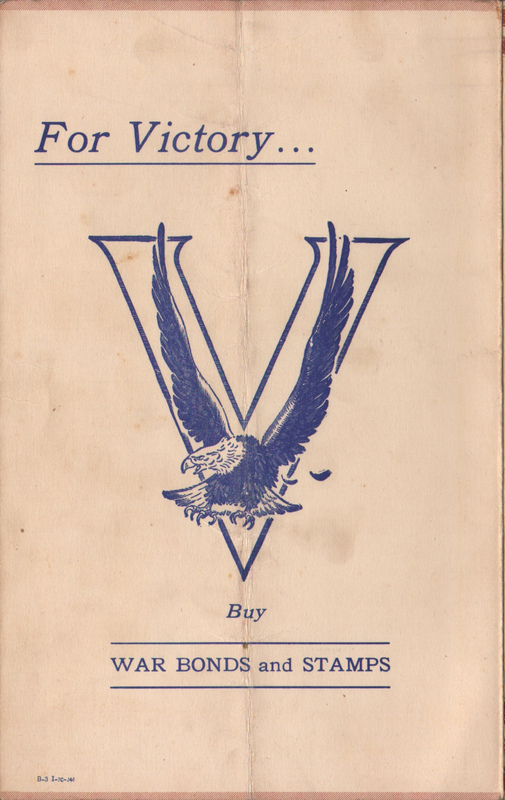 Like almost all railroad menus during the war, both the front and back covers have prominent advertisements for "Buy War Bonds and Stamps." 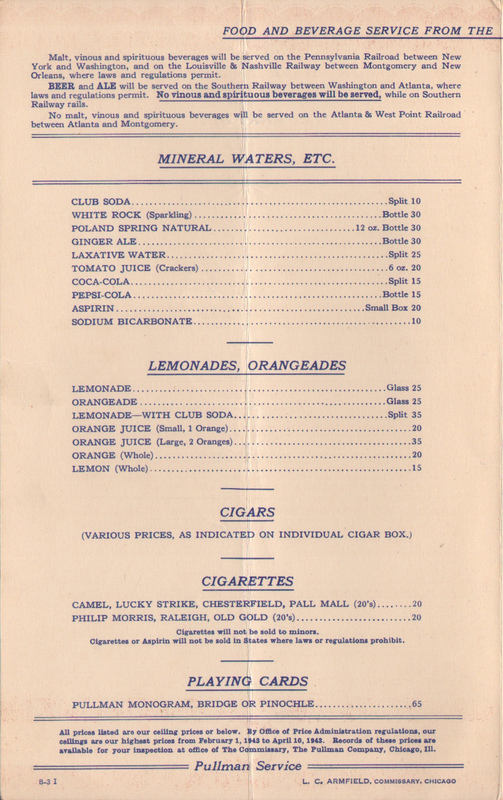 The 7C in the date code (B-3 I-7C-J44) tells the reader that 700 copies of this menu were printed since C equals 100 in the printing world. It was likely used on the Southern Railways (Railroad) Crescent Limited. 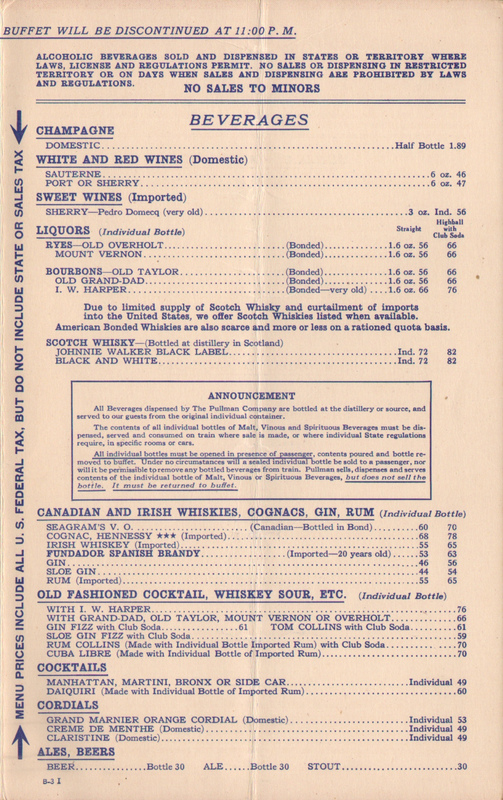 Includes the following: "Malt, vinous and spirituous beverages will be served on the Pennsylvania Railroad between New York and Washington, and on the Louisville & Nashville Railway between Montgomery and New Orleans, where laws and regulations permit. BEER and ALE will be served on the Southern Railway between Washington and Atlanta where laws and regulations permit. No vinous and spirituous beverages will be served on Southern Railway rails. No malt, vinous and spirituous beverages will be served on the Atlanta & West Point Railroad between Atlanta and Montgomery."